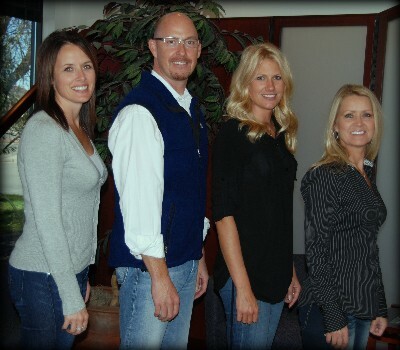 Taylor Endodontics is known all over North Dakota, South Dakota and Minnesota for our commitment to excellence. While Dr. Jay Taylor, along with Mary, Lori and Janeice have a combined 50 years of dedication, Taylor Endodontics continues to adopt new practices and new state of the art technologies to continue the trend of excellence. We openly invite you to share in that experience. Please take note of some exciting new changes for Taylor Endodontics and read a letter from Dr. Jay Taylor. Further, as a patient or a referring doctor, we are thrilled to announce some fantastic new services. Our new secure website will enable you to complete medical history, medication and discomfort forms from the privacy of your own home. As a referring doctor, our secure portal makes it easier than ever to send referrals, patient information and digital images. Dr. Jay Taylor is one of the only Board-Certified Endodontists in North Dakota and northern Minnesota. Our continued commitment to excellence, combined with our adoption of state of the art technologies makes Taylor Endodontics the clear choice for your Endodontic care. Root Canal Therapy continues to advance and you will notice these advancements in our Fargo, North Dakota and Detroit Lakes, Minnesota office. We are providers for Delta Dental and BCBS of ND. On the day of service we will collect your out-of-pocket estimate, submit to your insurance and be in contact with you after insurance has paid. We submit to almost all other insurance companies. Payment is due in full on the day of service, however we will submit your insurance claim and any reimbursement will be directed to you, unless other arrangements have been made. Care Credit is an option and our office offers 6 months of 0% interest. Cash, no insurance discount of 5%. Eligible for Blue Plus or other Delta Dental-run governement programs? Give our office a call. Feel free to call and discuss your situation with our front office and we will answer questions and help facilitate your insurance process. We appreciate a minimum of 24 hours notice if there is a need to cancel or reschedule your appointment. Thank you for your courtesy. We strive to offer personal and gentle attention, along with the BEST Endodontic care to every person who we come into contact with. You may have heard the terms from your general dentist: root canal, apicoectomy, endodontics, retreatment, infected tooth and are wondering what this means for you. We are happy to answer any treatment or financial questions you may have, assist with insurance handling, etc. I’ve had several root canals and can’t say how much I appreciate going to your office for one. This really comes to light when I hear my sister and a friend, who both live in another area of the state, needed root canals. It was not a comfortable experience for them…to say the least. My friend said she was in the chair for three hours! Three hours!!! I believe one of my root canals required an incision in my gum…I’m pretty sure I didn’t spend three hours in the chair for that. I really feel bad for anyone that doesn’t have access to an Endodontic office as I do. Thank you so much for the fine work you do! "I came to my appointment expecting a major interruption in my day. I was so impressed with the timeliness of my appointment...I was in and out in an hour and was able to return to work and my daily activities!" "I cannot believe how much things have changed since I had my last root canal 10 years ago! I can actually say this was a breeze." "From my first contact on the phone making my appointment, to my actual treatment by Dr, Taylor and his assistant, I felt completely at ease and cared for as if I were a friend. I could not have asked for better care. Thank you!" "I was very anxious for my appointment, as I am with all my dental appointments. You kept reassuring me that I would be pleasantly surprised and didn't need to worry. You were right! I don't know why I spent so much time worrying...now I know better."